Bom Bus Golf Cart Tours & Rickshaw Bikes available in Seattle, WA & Phoenix, AZ. 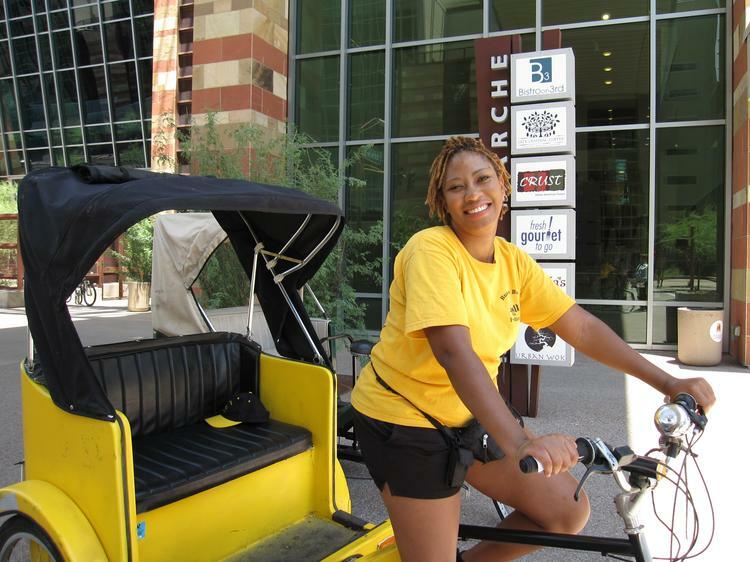 Welcome To Bumblebee Pedicab in Phoenix, Arizona! Bumblebee Pedicab is a fun and unique way to travel around Phoenix, AZ. We offer entertaining door-to-door cab rides, Special Events, and Tours in the Valley of Phoenix, AZ. Our Eco-Friendly Cycles are committed to providing a fast and friendly service, while reducing the impact on the air and environment. Bumblebee Pedicab is a family owned, licensed and insured company. We have a standard price depending on the distance. Tips are optional and will get you where you need to go. Our Pedicabs are well maintained and inspected to be sure you get the smoothest ride. We cater to special events and tours around the city.